Early evening, on the ferry back to Koh Samui and better late not than not all, here is the Koh Samui, Thailand weekly weather update; 21st January 2019 – 27th January 2019. It's been a long and busy day today. A very early wake up call at 3am, since I was participating in a half marathon in Trang city. At 11am we left Trang and via Patthalung and Thalenoi we made our way back to the pier in Don Sak. Koh Samui had a nice and dry day with a partially clouded sky. Maximum temperature reached 30C. 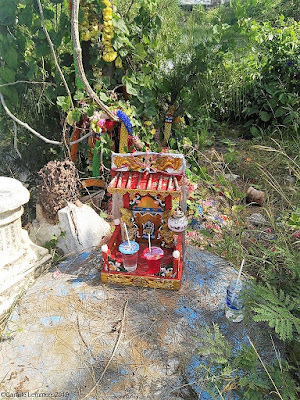 Koh Samui, Thailand weekly weather update; 21st January 2019 – 27th January 2019; A small road side shrine. You can find them all over Koh Samui. This is one is in front of a tree on the road to Big Buddha. Many trees in Thailand are considered 'holy' and they will have garlands wrapped around them, a shrine in front of them and offerings to accompany the shrine. The offerings are usually small and simple, some red Fanta seems to be very popular, a small piece of food and some incense. Last week saw a fairly nice week with some rain towards the end of the week. Maximum temperatures reached 31C and minimum temps reached 26C. A fairly even week with a slighlty wet ending, although the weekend was dry again. Koh Samui, Thailand weekly weather update; 21st January 2019 – 27th January 2019. 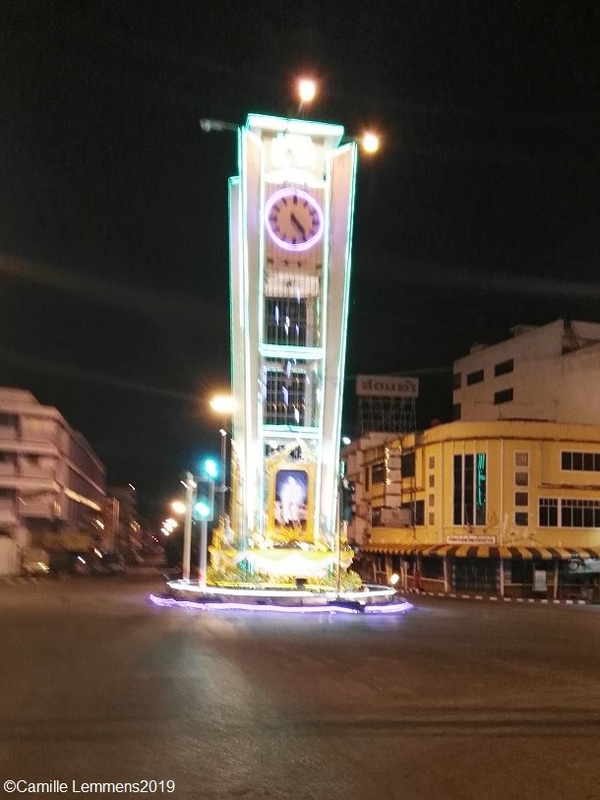 The clock tower in Trang at 4am. The picture is not that great but it looked really nice with green lights covering the tower. This morning I ran a half marathon in Trang. Hence we spend the weekend there. For next week it's looking very sunny and hot for tomorrow. More partial cloud coverage for the rest of the week with some showers here and there. Time to start looking forward to February, one of the nicest months of the year to be on Koh Samui!